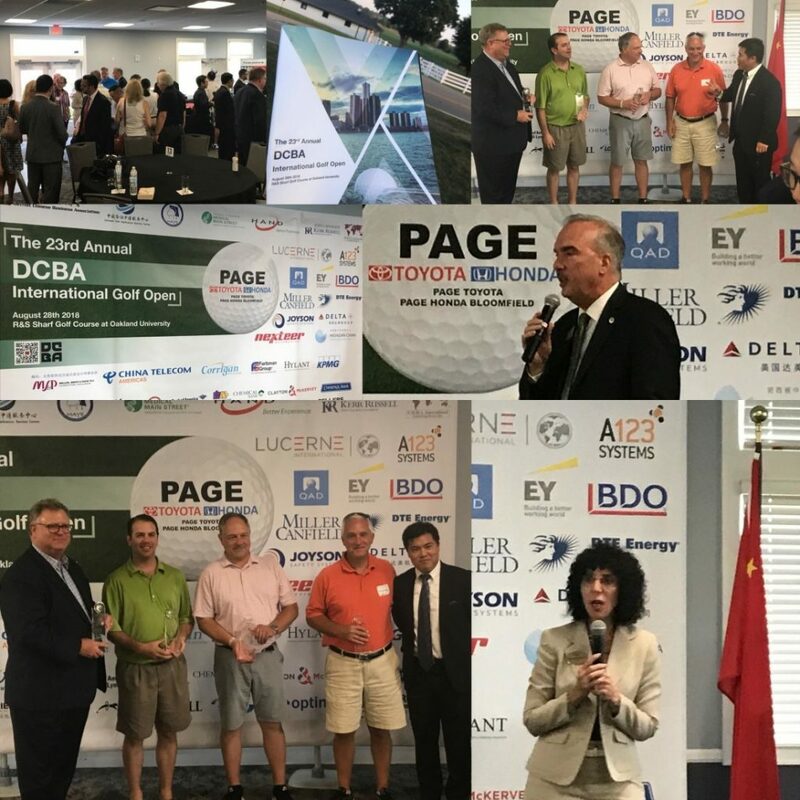 Kerr Russell was pleased to support the 23rd Annual Detroit Chinese Business Association (DCBA) International Golf Open on August 28. Our golfers – Jeffrey May, Ken Lombardo, Robert Anderson, and Rich Buslepp – placed first in the outing. DCBA chair Brian Gao and Kerr Russell member / DCBA Advisory Board Member James Cambridge presented the foursome their hard-earned trophies (14 under par!). The event was held at the R&S Sharf Golf Course at Oakland University. From the event description: “DCBA is extremely honored to present Ora Pescovitz, M.D., newly inaugurated President of Oakland University as one of our Keynote Speakers, along with newly appointed County Deputy Executive Economic Development Director Mr. Timothy R. Meyer, PhD, MBA.” Oakland County Executive L. Brooks Patterson also addressed the attendees.